I'm not sure if it had to do with Valentine's Day or maybe it was the crazy ice storm that we got, but while we were iced in this weekend, I really wanted to make chocolate covered strawberries. The problem? I didn't have any chocolate. 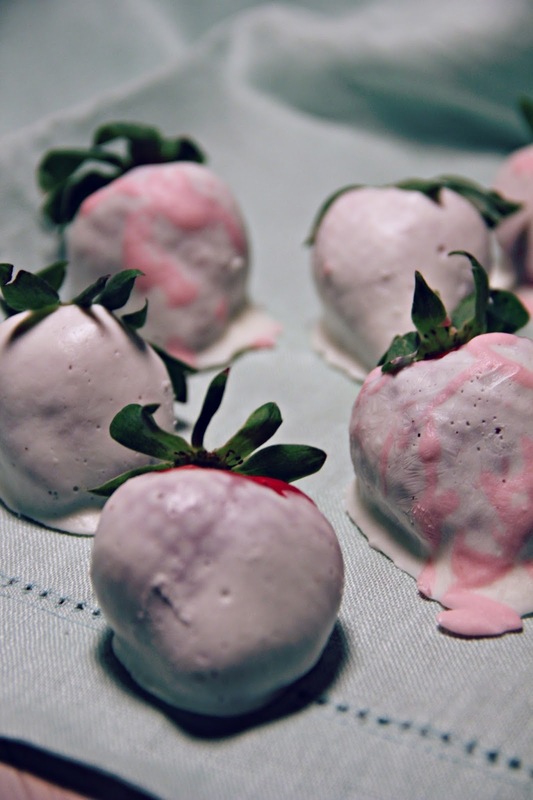 Fortunately, I did have some yogurt in the fridge so we whipped up some frozen yogurt covered strawberries. It was so simple that I almost didn't share this here, but I can't keep all this goodness to myself. They were delicious! Definitely a healthier alternative to chocolate covered strawberries and deffffinitely just as delicious. 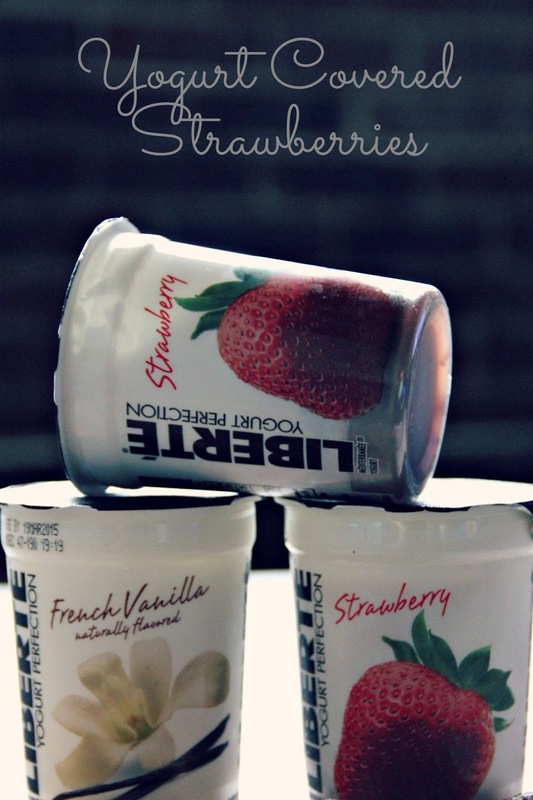 Talk about #YogurtPerfection! There are just so many different varieties you could make. Liberté yogurt comes in nine captivating flavors. Right now, we have some cut up bananas in our freezer dipped in Caramel Liberté yogurt. I can't wait to try it! While you're here, don't forget to grab a coupon!! The information, products and gift cards were provided by Publix and General Mills through Linqia. All opinions are my own. Oo I'd like to try the strawberry or blueberry! Those are usually my go-to's. Méditerranée Strawberry all the waaay! I would love the strawberry! !